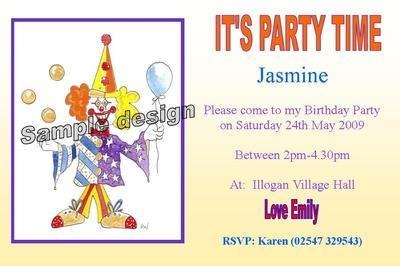 A6 sized personalised clown party invitations. Printed on white card complete with a white envelope. No minimum order, sold per invitation. Please let us know when ordering what personalisation you would like and what date these are needed by. We will e-mail you a proof of your invitation so you can check the details before going to print.